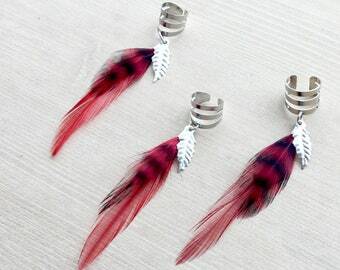 Feather Ear Wraps are beautiful, comfortable, and lightweight accessories! Add pops of color and layers of organic texture to any look! One size fits all - just place the wrap easily to the contour of your ear. 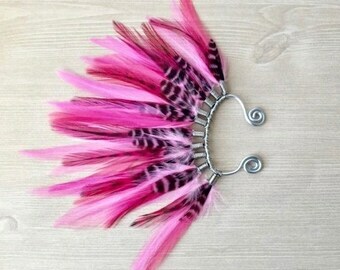 Care: Feather jewelry is low maintenance, but blow dry them occasionally to bring back natural volume. 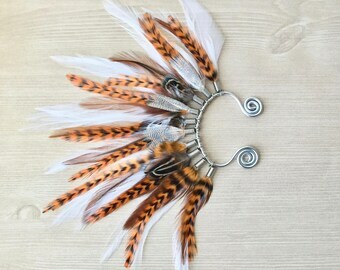 I use special jewelry crimps to secure feathers in place so you won't lose them! 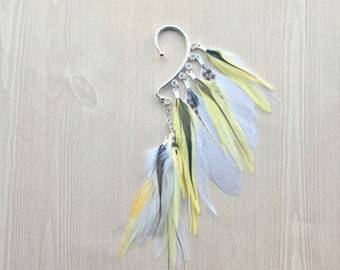 *Finch Finery is committed to cruelty free feather sourcing, using only trusted local vendors.